My Mendoza experience continued with a visit to Casa Argento, located in the town of Chacras de Coria. And when I say Casa, I mean it’s a house. The wine brand Argento is the brainchild of Bibendum UK, the largest importer in the country, and Catena Zapata, who provide the local knowledge. 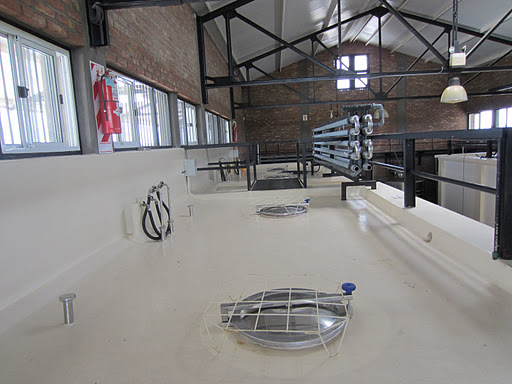 They also provide the winemaking facilities and connections, so that Argento can operate locally out of the Casa, whilst the main office is in London (not Buenos Aires like most other wineries). The brand was established in 1998 to occupy a space in the UK market for good value Argentinian wine, and has since grown substantially to be the market leader in the UK, and be exported all over the world, including Australia. The wines are priced firmly in the AU$12-AU$20, and are unusually for Mendoza sealed under screw-caps (probably the UK influence). Paula and Agustina from the Casa took me through a range of the wines, starting with two whites and followed by four reds. Click here to read my notes. 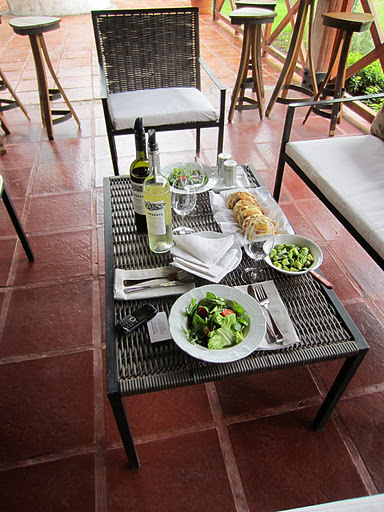 Following the tasting I shared a light lunch of empanadas and salad, welcome respite from the heat and constant wine tasting. 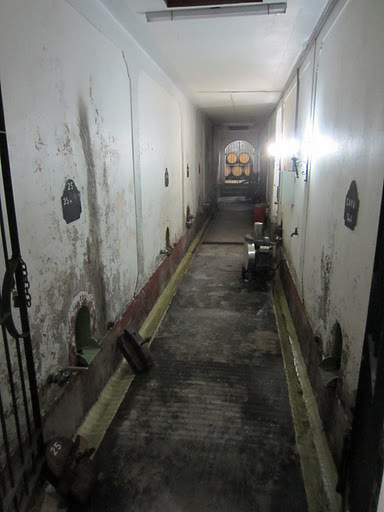 I found an article posted on a blog run by Argento about the most expensive wines in Argentina, and this is how I came across Achaval-Ferrer. I then had Tim Atkin MW recommend the winery to me, so I was really pleased when they responded to my request for a visit. The winery is not exactly easy to find, particularly as the houses and properties on the street aren’t numbered. Eventually I arrived and was given a tour of the estate vineyard and winery to explain the philosophy and process. Achaval-Ferrer was established in 1998 by four Argentinian friends who had no experience with, but a passion for great wine. Engaging Italian winemaker extraordinaire Roberto Cipresso to consult lead to his joining them as a co-owner, and boy did he have big plans for the winery (and I mean big). The goal for Roberto was concentration and extraction, and this is achieved in a number of ways. 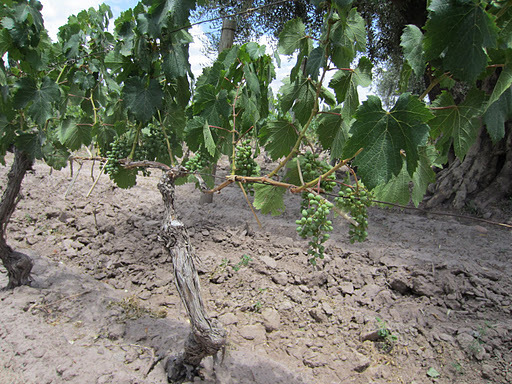 Firstly, the vines they are growing malbec on a very old, meaning they are already producing less fruit. During the ripening period they do significant leaf thinning to expose the berries to the sun, intensifying the sugars and colour. Finally, bunch thinning bringing the yields back to 1,5 tonnes her hectare (!) means that you are getting extremely intense concentrated fruit at harvest, a potential alcohol of 18-19%. In the winery the fermentation and maceration is taken to 35 degrees to ensure that the yeasts can handle the alcohol and sugar, and through a highly oxidative handling they evaporate at least 4-5% of the alcohol, bringing it back to 14%. Amazingly the fruit is processed as it arrives, parcels are generally not kept separate, and the blending of the Quimera is actually done in the vineyard, through harvesting. 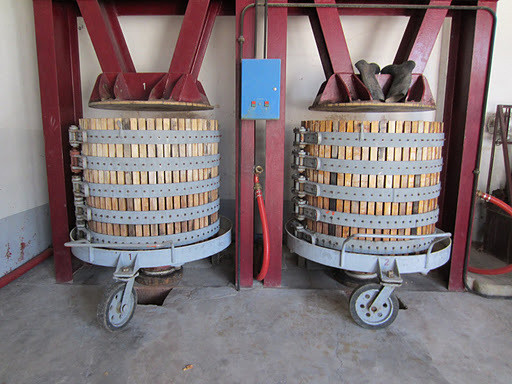 Depending on the wine they get up to 100% new French oak, but aren’t kept there for too long. The range consists of only red wine; an entry-level malbec from five vineyards, a blend of Bordeaux varieties, and then three single-vineyard malbecs from different areas in Mendoza. To say these wines are intense is putting it mildly. For me they are so against the grain that it is difficult to separate preference with impartiality, as it is safe to say these aren’t my kind of wines. For the style however, they are very good. Click here to read my tasting notes. It was strange tasting these wines, as the intensity and tannins make you expect big alcoholic heat, but it isn’t there. Compared to some of the zins and petite sirahs I tried in California, the balance is totally different. Not hard to believe that Robert Parker loves these wines, rating the Finca wines at 98 points. And now I return to the subject of my preface. Whilst I was at Argento they recommended and placed a call to Carmelo Patti to arrange a visit. Not having any idea what to expect, but hearing that his cabernet sauvignon was exceptional, I wandered into what looked like a big garage. I found Carmelo boxing up bottles himself, and soon discovered that his English was virtually non-existent. Somehow we managed to communicate and understand each other, as he explained his philosophy. As I tasted his wines and then got a tour of his winery, it dawned on me how special this man is and why he is so well-respected and loved in Mendoza. Carmelo essentially runs his winery by himself, controlling every step along the way. Operating out of a small but quite old facility, he uses the simplest of processes to make his wines, of which there are only four. Fermenting his reds in concrete at naturally low temperatures, transferring to tank and then barrel for limited amount of times, captures the terroir of the vineyard 6 km away. The really exciting thing is Carmelo’s uncompromising approach of leaving his wine in bottle until it is drinking at its best, not when the market wants it or when Carmelo wants to pay his bills. The Malbec gets at least three years, the cabernet four and the Bordeaux blend between five and eight. Now this is integrity! Even though I understood only 25% of what Don Carmelo was saying, I found myself hanging on every word. 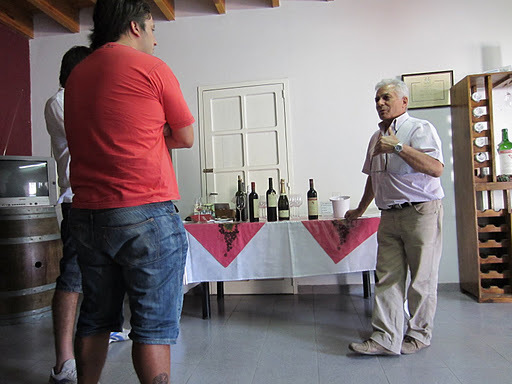 A couple of young Argentinian guys joined me for a tour, and I was able to make out certain things Carmelo was explaining thanks to my understanding of wine production. Click here to read my notes on the wines. Tasting the wines was one of those things that stays with you, as they were all amazingly elegant, soft, velvety, complex and long. Carmelo’s wines are the kind that make you want to tell someone that you love them, that fill you with joy and yet regret that all wines can’t be this good. They are the kind of wines that make life worth living, that speak to you so much let leave you speechless. Because what can you say about wines that are virtually perfect? I would never have thought I would have this kind of spiritual wine experience here in Mendoza, but perhaps that was why it was so good?